14,90 € Tax incl. 12,42 € Tax excl. The PTFE dry lubricant from WD40 contains Poly Tetra Fluoro Ethylene which, leaving a dry film on the support, provides improved lubrication without attracting dust or dirt. The 'Anti-friction' formula of WD40 Specialist is certified H2 by NSF. 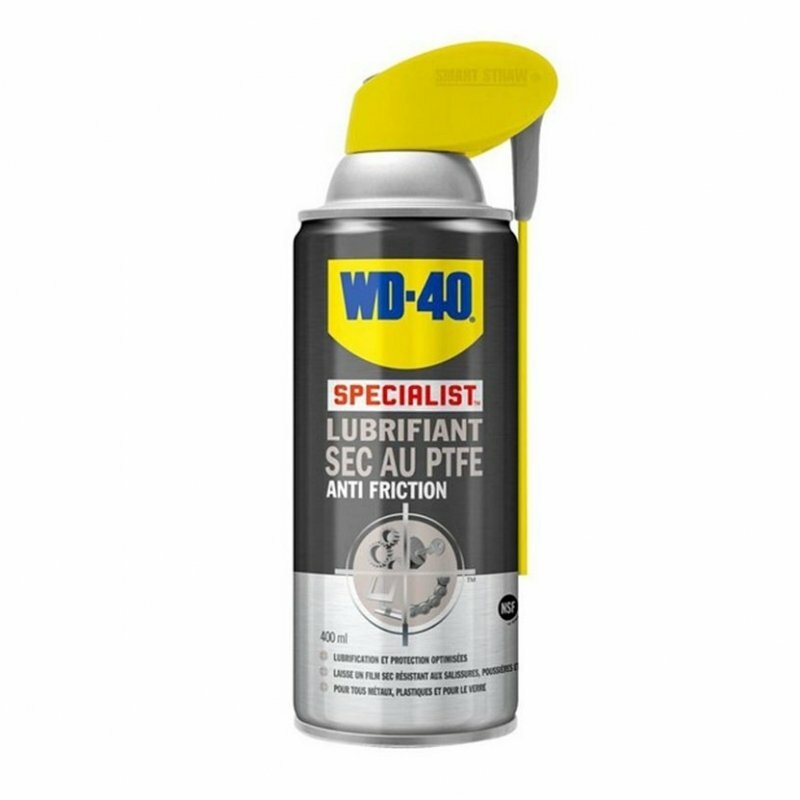 The PTFE WD40 lubricant is useful for lubricating axles, pulleys and other parts which may be subject to jamming or matting.